The comparative bioavailability of cisapride as a 30 mg suppository and three 5 mg oral tablets was investigated in 12 non-smoking, healthy male volunteers. The two formulations were administered on two separate occasions following an overnight fast, according to a randomized cross-over design. The plasma concentration of cisapride was measured over 48 h after drug administration. 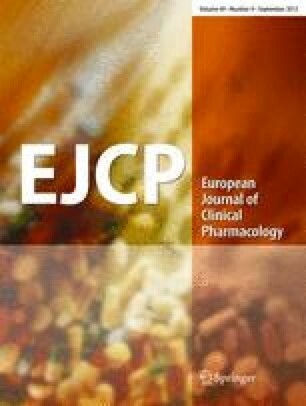 The 30 mg suppository exhibited a mean time to the peak plasma concentration of 3.8 h, while the tablets showed a significantly earlier peak time of 1.5 h. The maximum plasma concentration of cisapride after the 30 mg suppository (50.3 ng · ml−1) was significantly lower than after the tablets (74.3 ng · ml−1). The AUCs following the two treatments did not differ significantly from each other. The comparative bioavailability of the 30 mg cisapride suppository in relation to the three 5 mg oral tablets was 85%, with a 95%-confidence interval of 67% to 102% (not adjusted for dose). Normalizing the mean AUC by dose, the relative bioavailability of the suppository was 43% of that of the tablet. The elimination half-life of cisapride was not significantly different following the administration of the two formulations (9.3 h for the suppository and 9.8 h for the tablet).